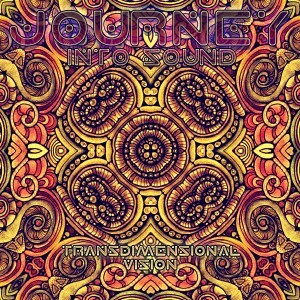 After the successful release of his debut album Illusions Of Reality back in 2013 on Timewarp Records, Hungarian project Journey Into Sound (JIS) will take you on another truly magical voyage into the world of melodic Goa trance music with Transdimensional Vision, his first release on the Balkan-based Neogoa Records. Inspired by trance classics, Czellár Gábor, the man behind this project, is on a mission to bring something special to new school Goa trance. His sound is a blend of acid-driven Goa trance beats and deliciously ecstatic melodies forged with passion and love. All tracks written and produced by Czellár Gábor (Hungary), mastering by Stryder at Beavernest Atop Studios with artwork design by iPsy and Richpa at Neogoa Design. MP3 Download | FLAC Download | WAV Download · Download count: 9,633. Absolutely amazing sound! Reminds me of the good ol’ Astral Projection era. Keep up the good work! Up There and Final Harmony are my favs but its all top class melodic goa!!! Great Romanian psytrance sound like E-Mantra! “Up there” i liked synth waves, greatly work. Thank you for the work done. Very inspired sounds — good good vibrations. Thank you for the work! Solar Wind is my fav! lol it’s hungary alright! sounds a bit like e-mantra though! such great positive vibes in some tracks, others are rather mysterious in atmosphere! hope to see more soon! O man…That was amaizing !!! Top notch, thank you JIS !!!! WHY SOM MANY PEOPLE DONT LISTEN TO PSY COMERCIAL POP AND DONT EVEN KNOW THESE GOA MASTERPIECES? Please make more beautiful music like this.